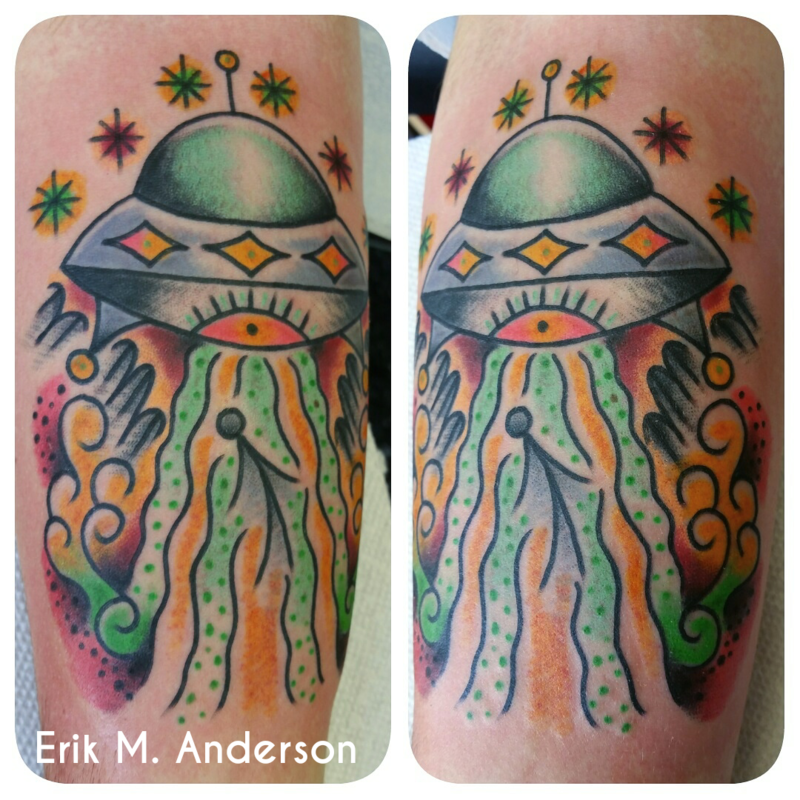 "Erik's work speaks to people, plain and simple. 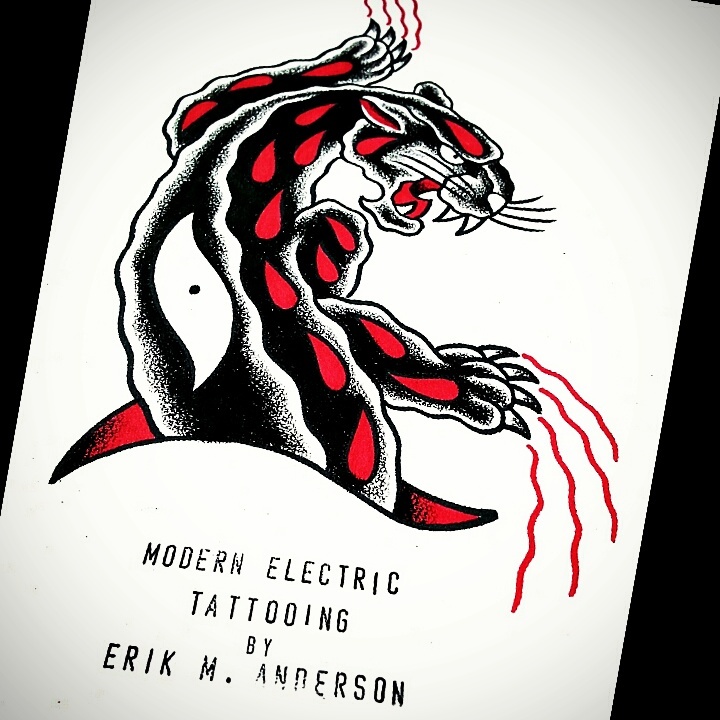 Bold, stylized, unique and ever surprising. 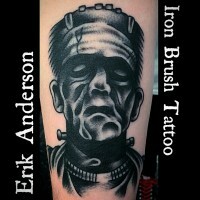 He works mostly from his famous 'secret' sketch books and working with his clients' ideas and creating something new. 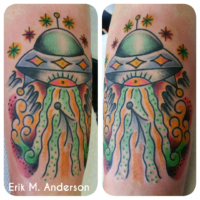 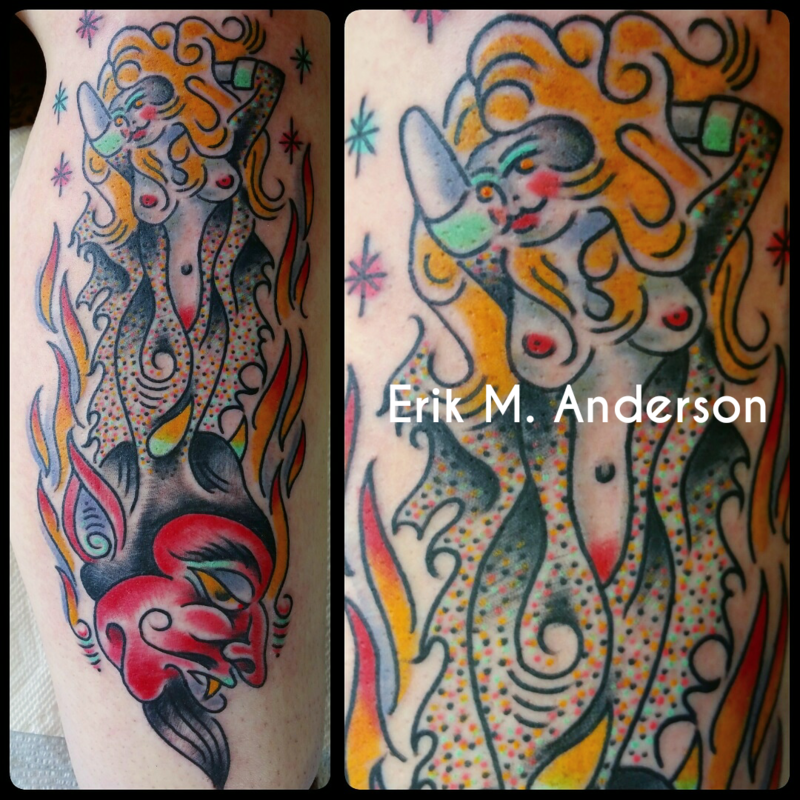 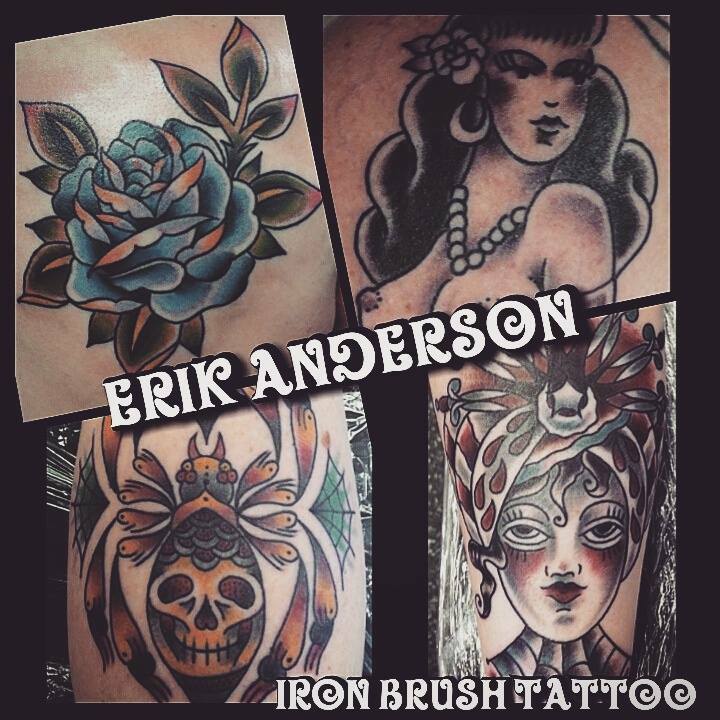 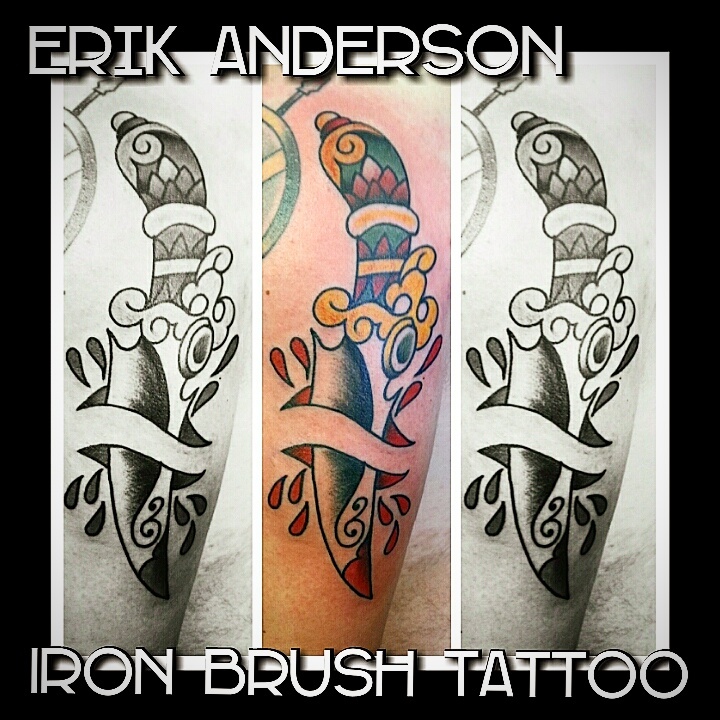 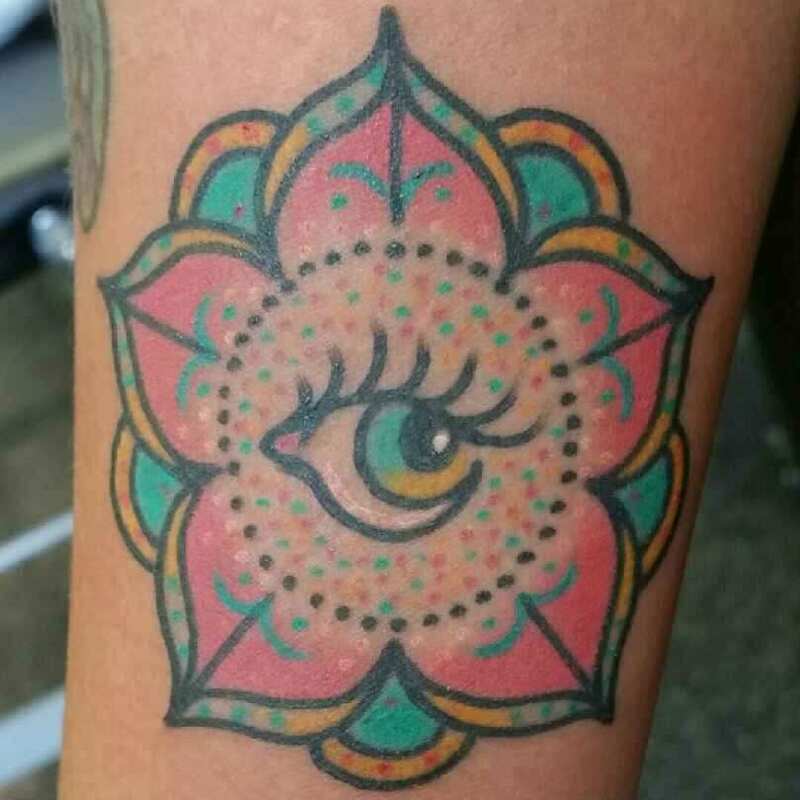 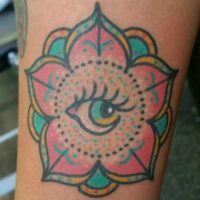 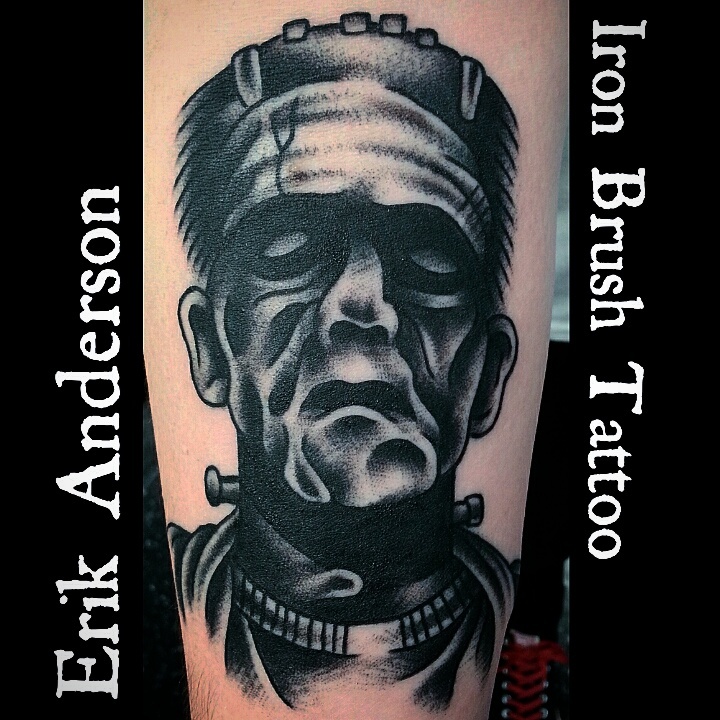 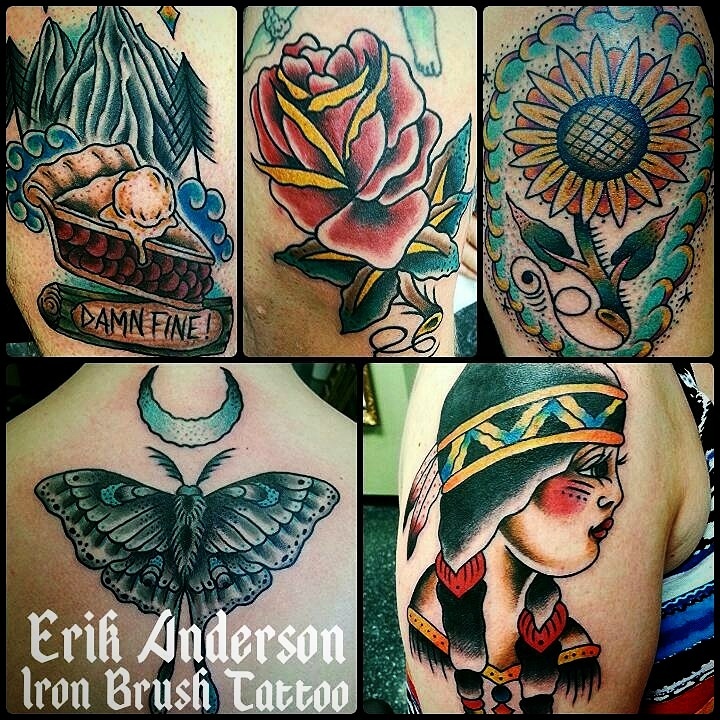 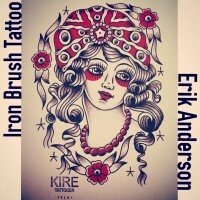 Erik is known by tattoo collectors as the go to guy for one of kind designs deeply based in traditional tattooing and once again made new through his brand of spiritual enlightenment. 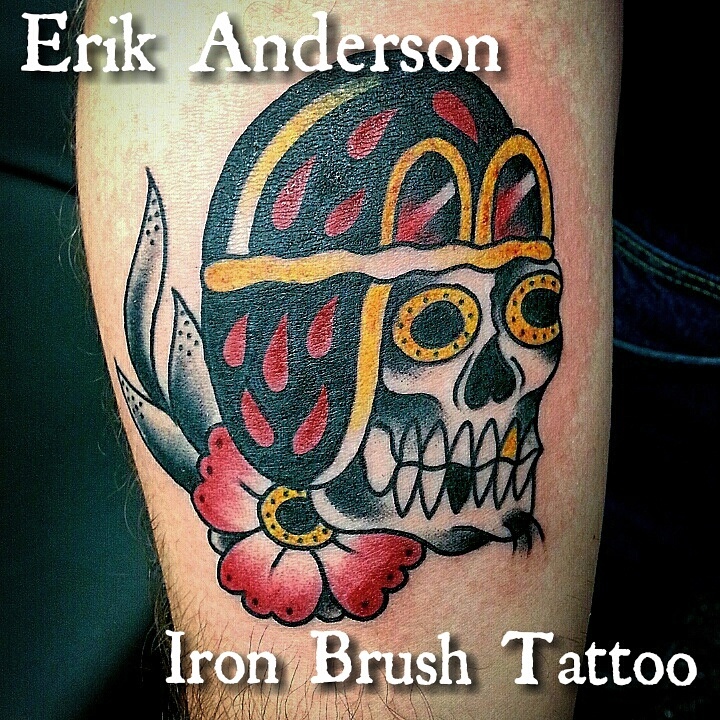 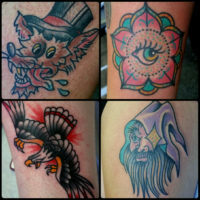 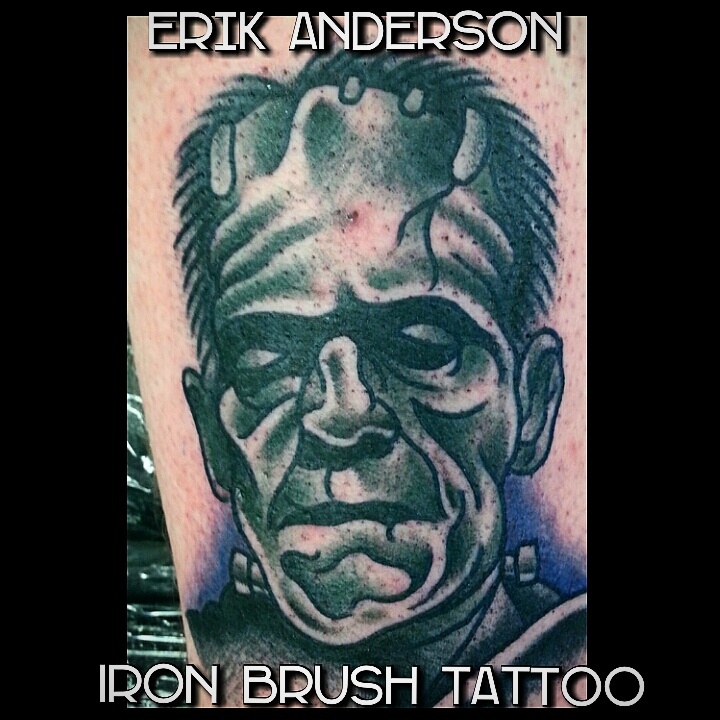 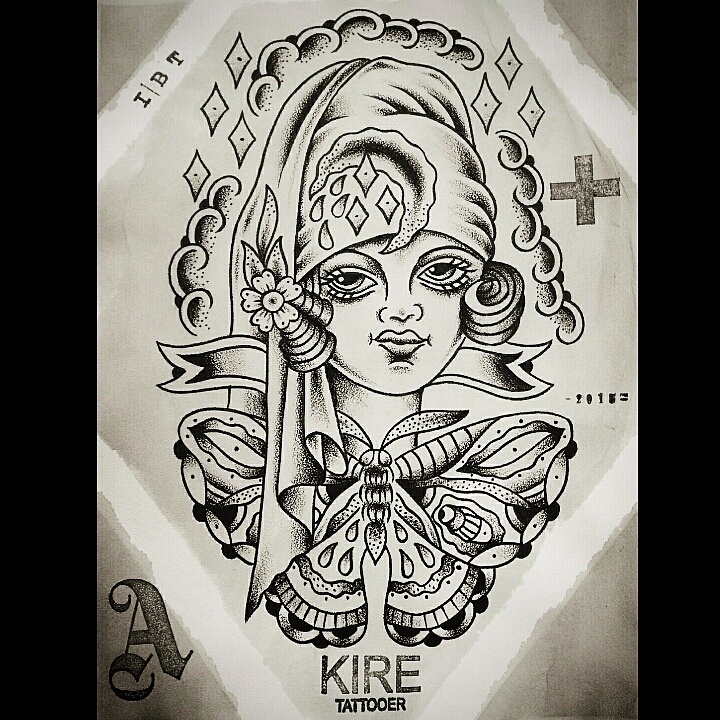 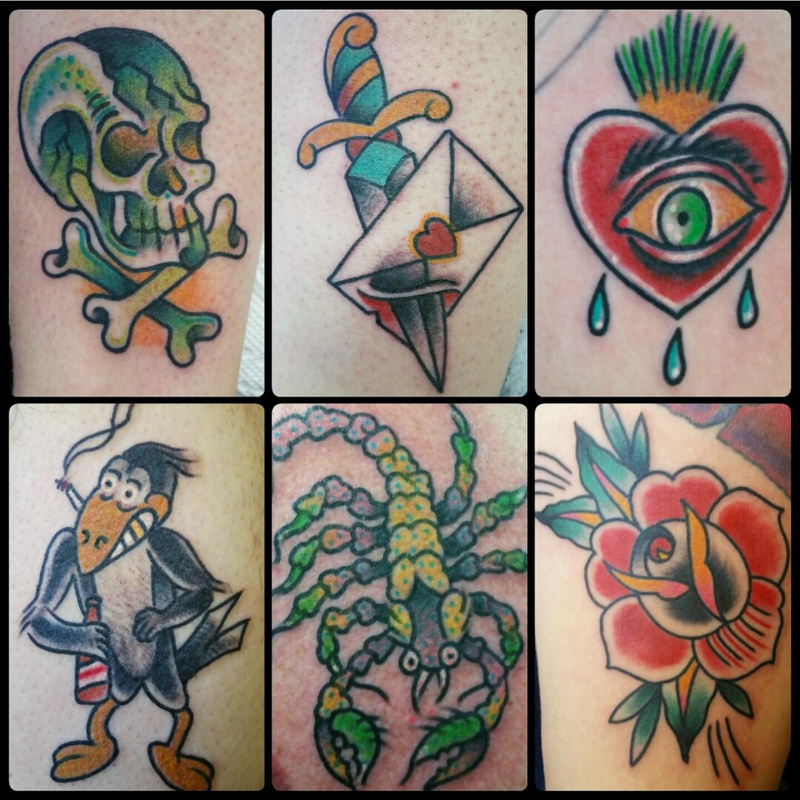 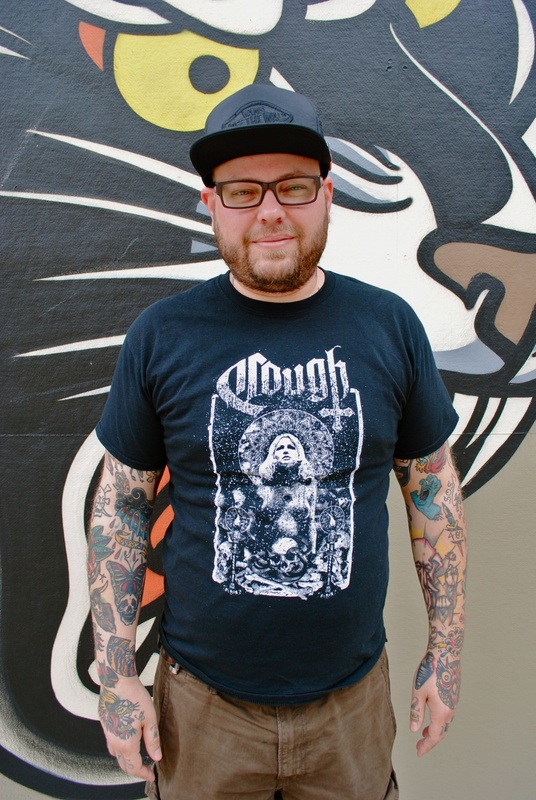 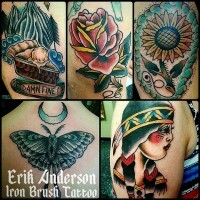 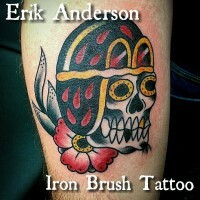 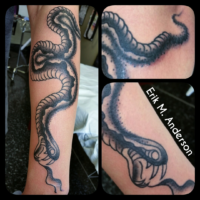 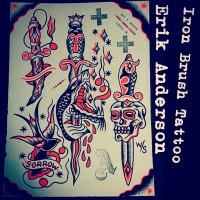 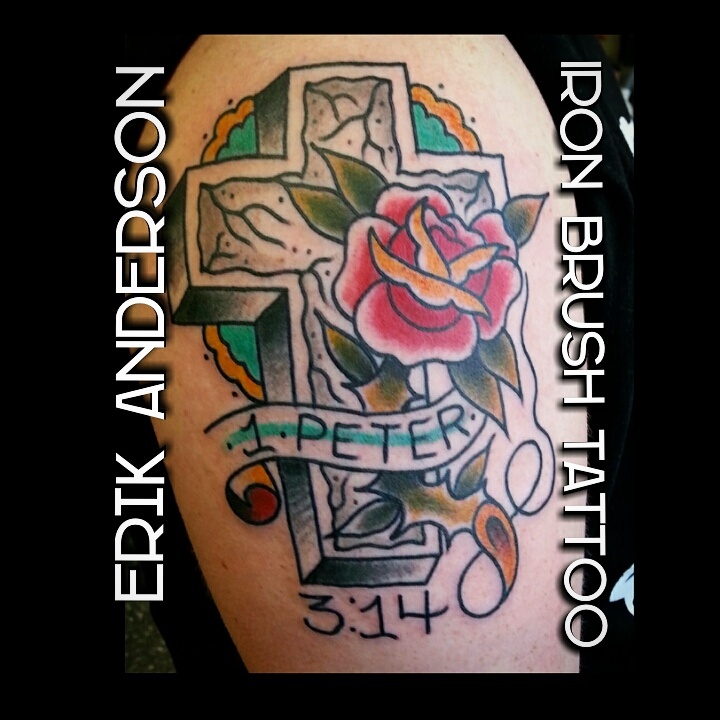 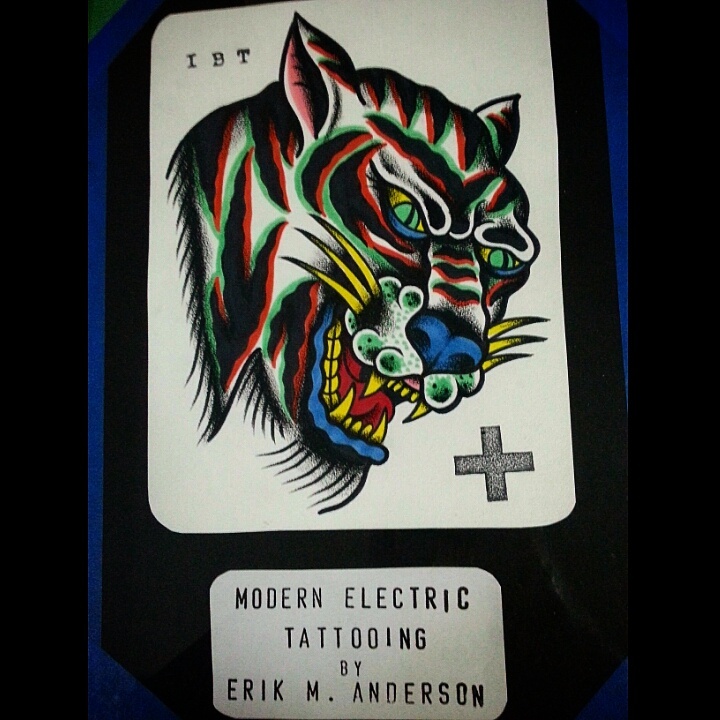 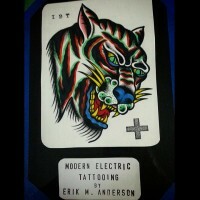 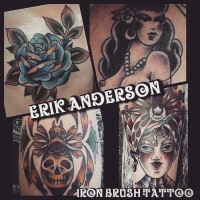 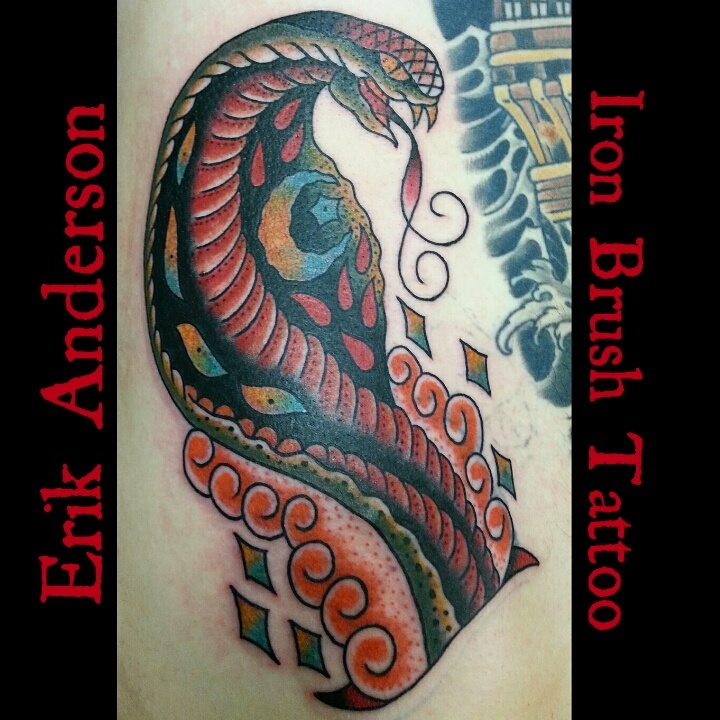 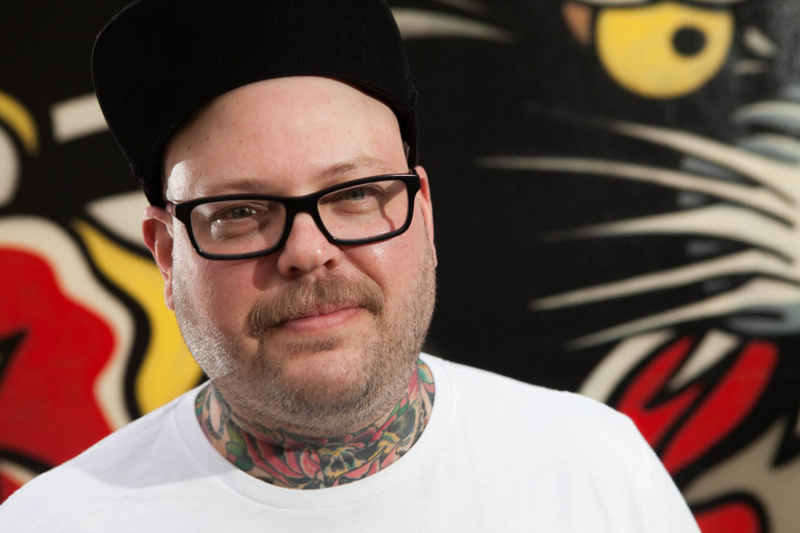 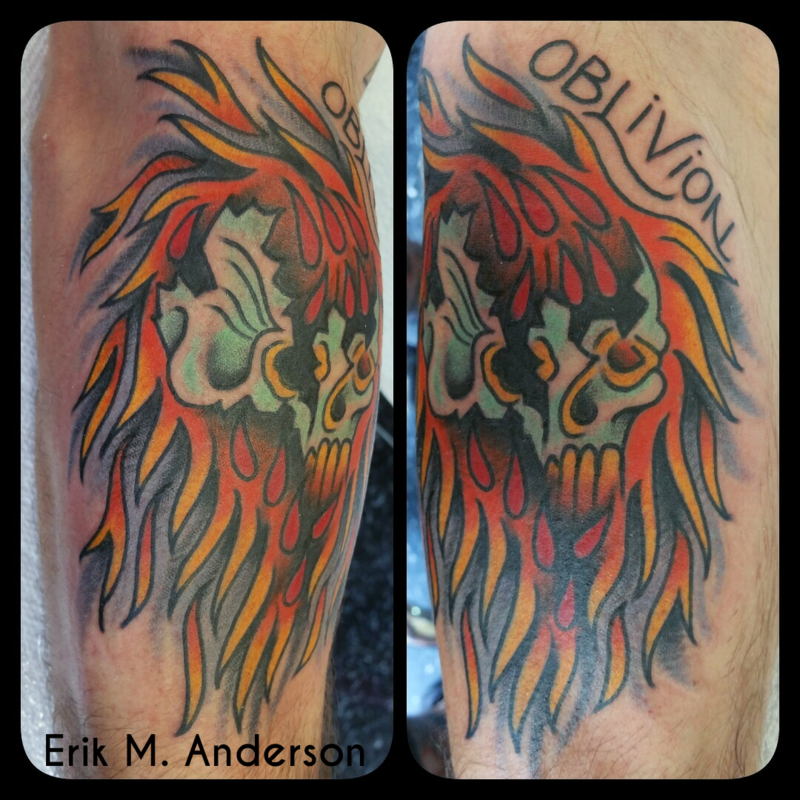 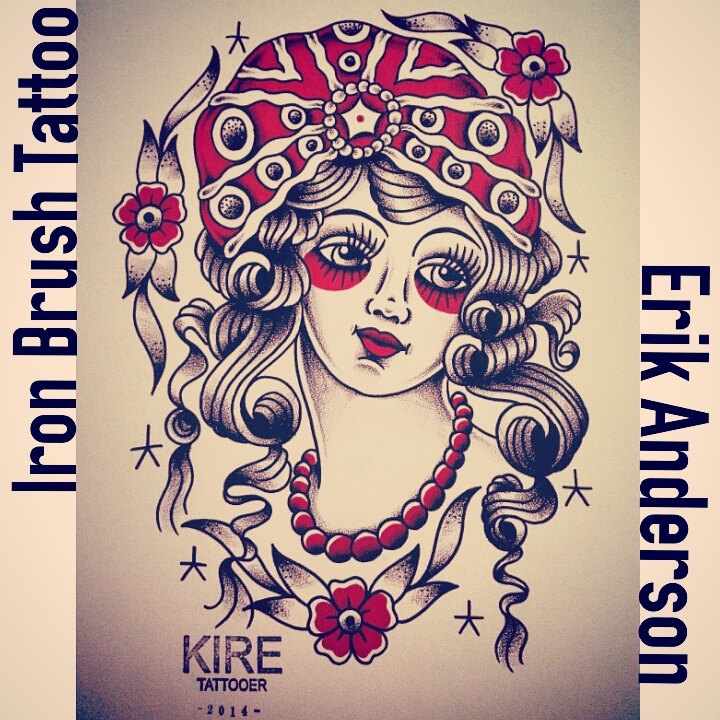 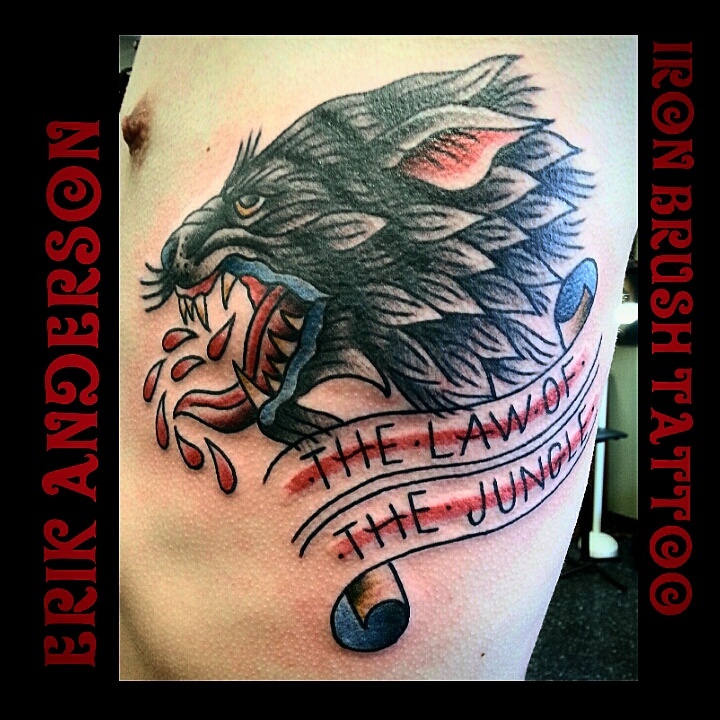 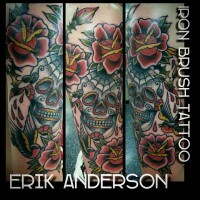 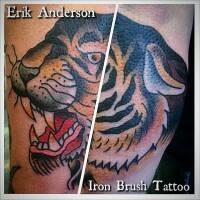 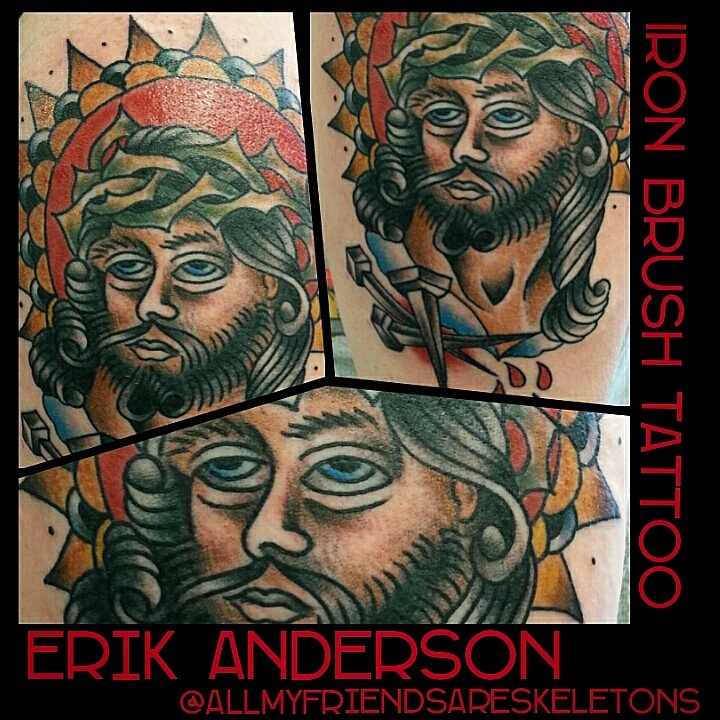 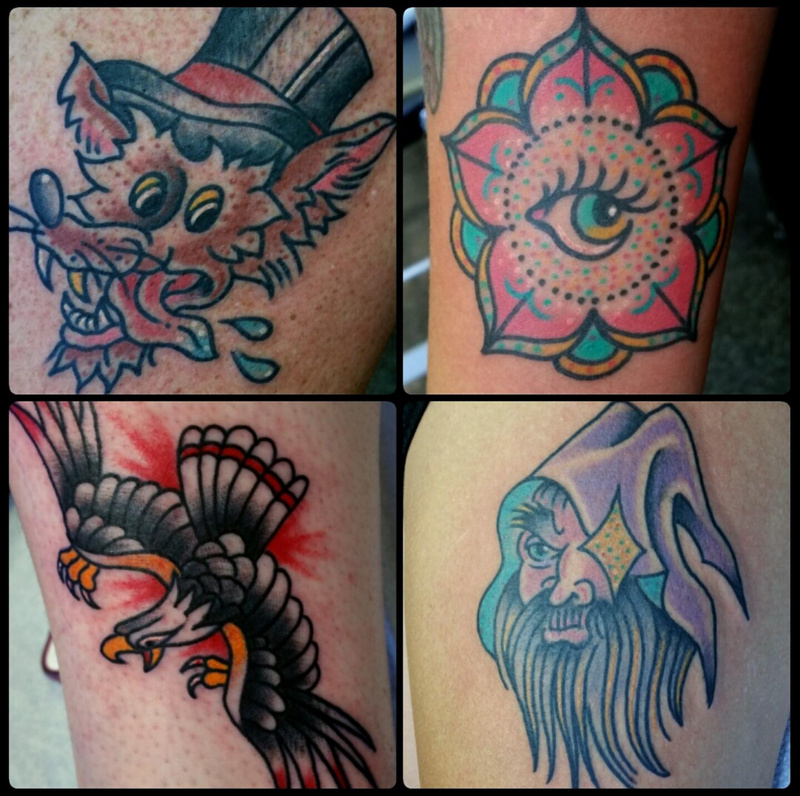 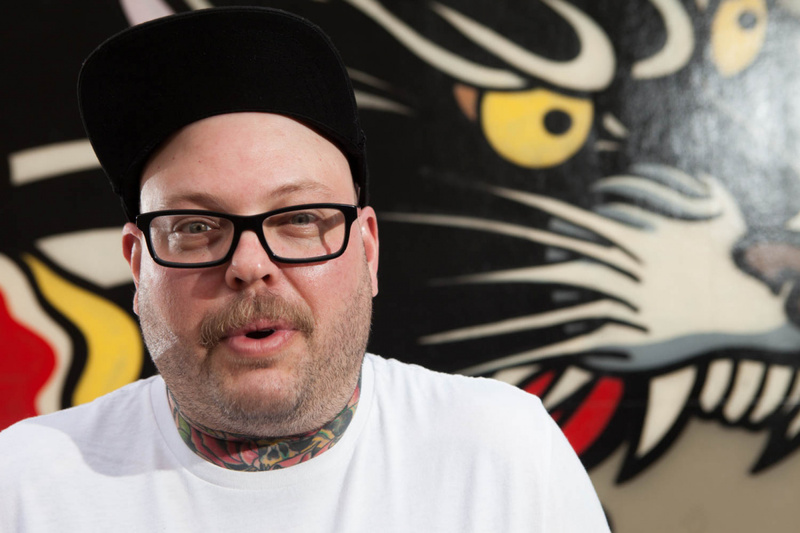 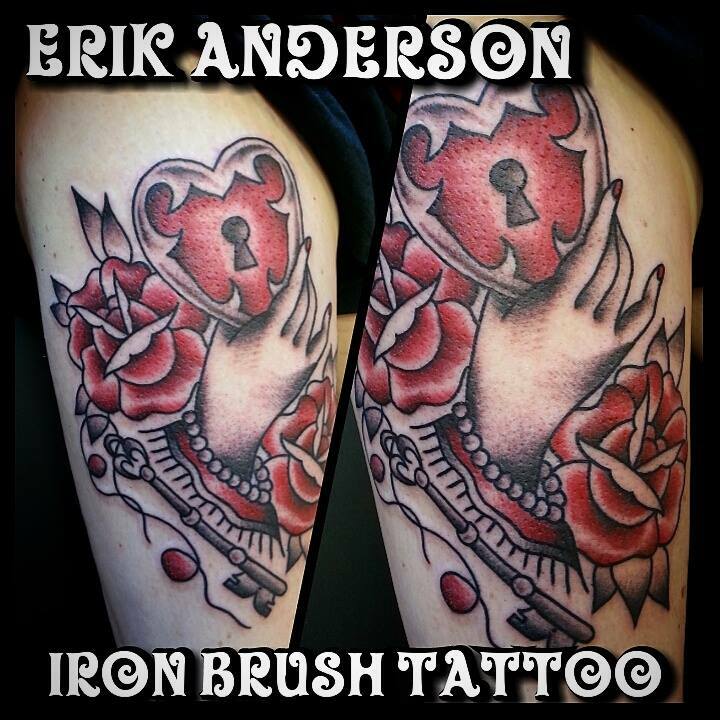 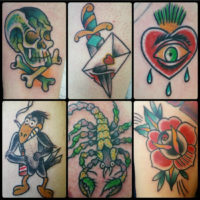 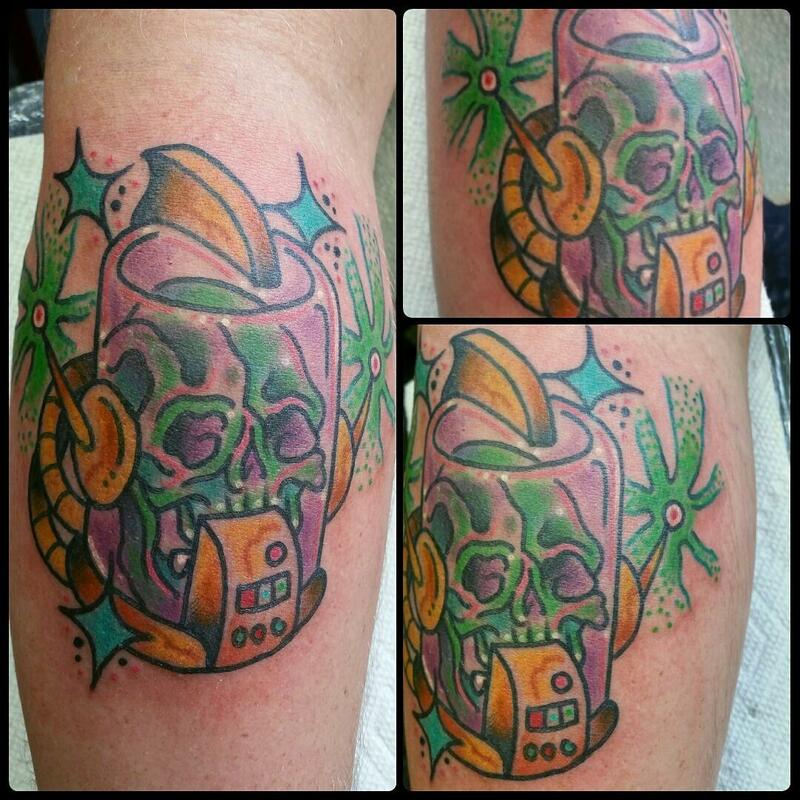 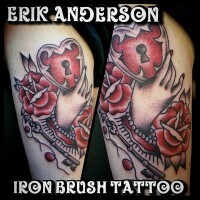 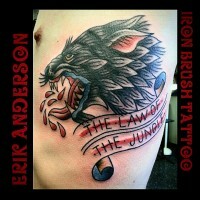 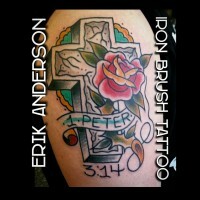 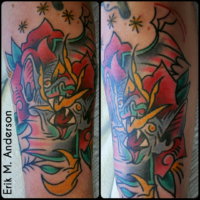 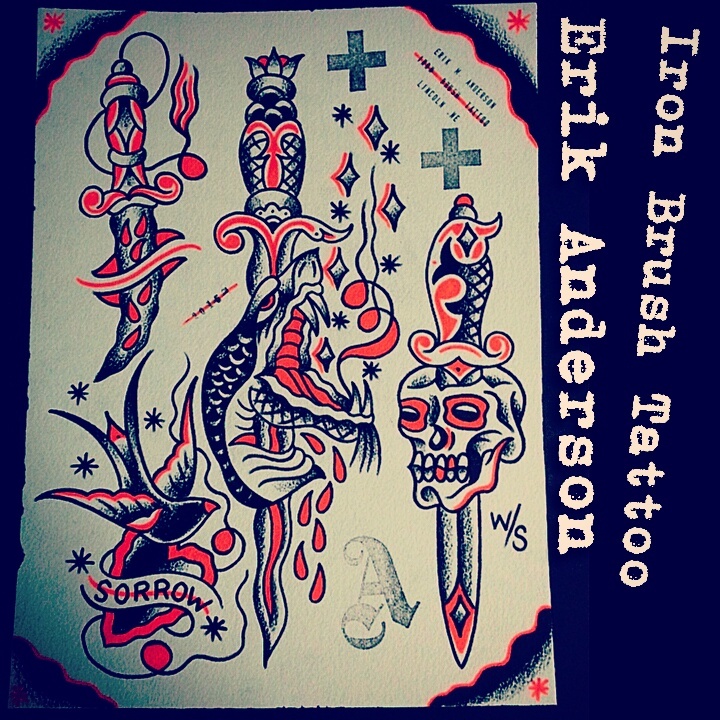 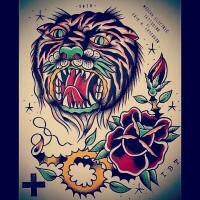 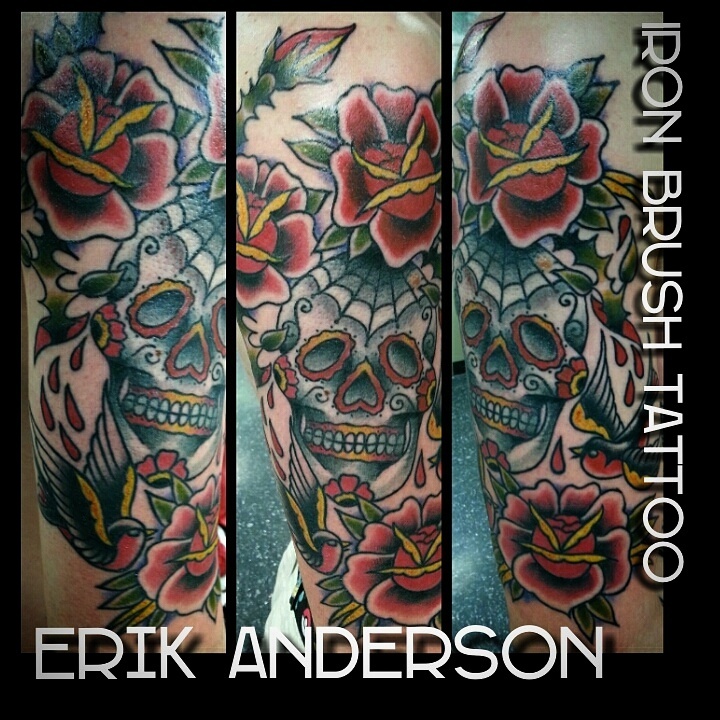 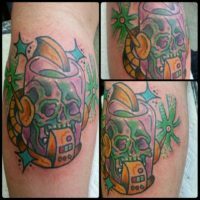 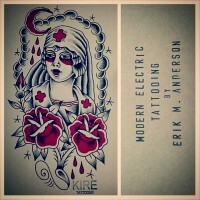 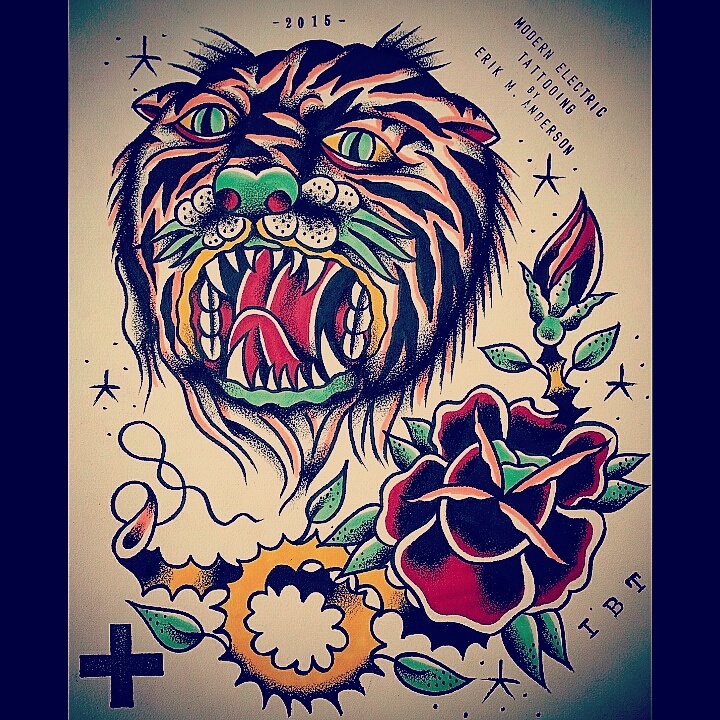 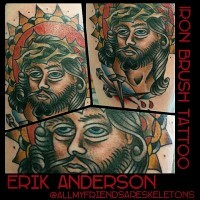 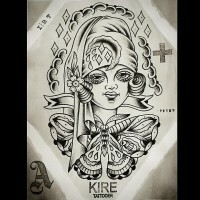 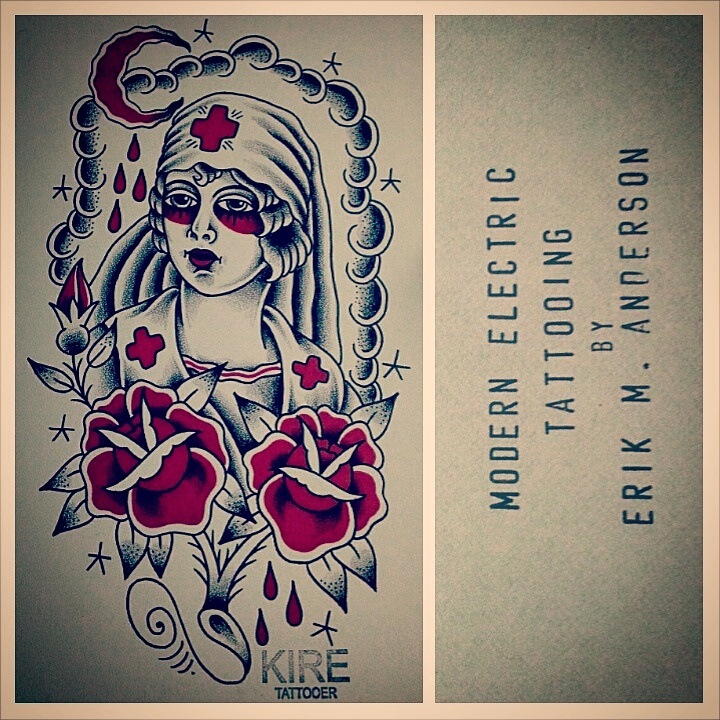 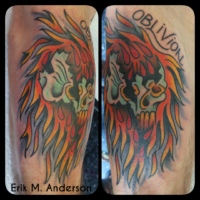 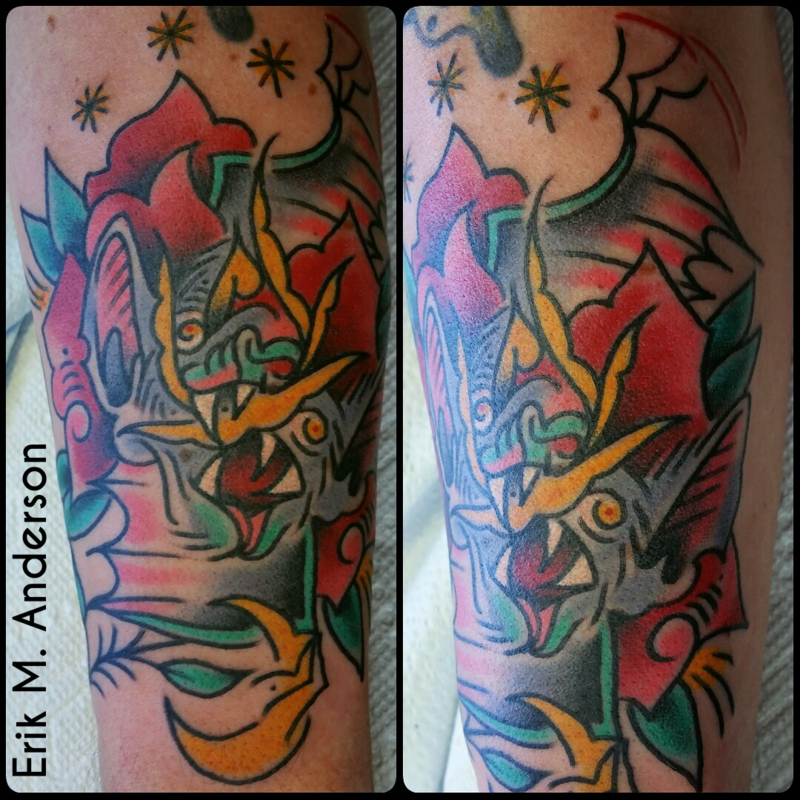 Erik works by appointment and a few days a week by walk-in, keeping his brand of tattoo energy accessible to everyone."